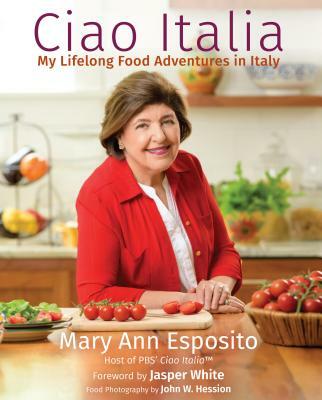 I love her cookbook< Ciao Italia Family Classics--love each introduction to each section. She inspires me to cook -- I love Italian food the best. Mary Ann is a classic person, she enlightens, inspires, and teaches. We are never too old to learn something new. Today, Mary Ann told me a simple thing that I forgot--coming in from the grocery store and to remember to take the mushrooms out of that plastic wrap. Thanks too for showing us beauty while you travel Italy. You are a treasure. Thanks.